Version 2 of the Fat Shark Fan-Equipped Face Plate makes ergonomic improvements to improve comfort - both during flight and while stowed passively on the pilot's head. 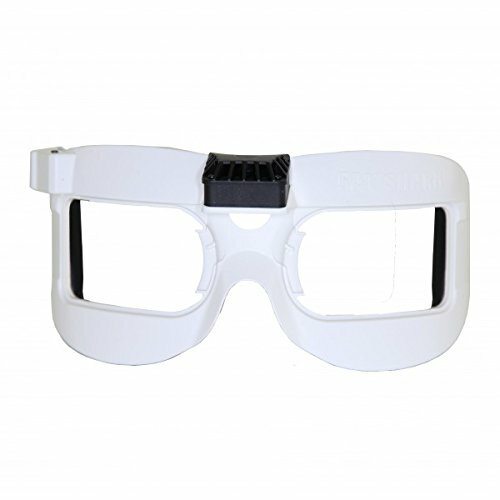 The improved fit is made through design updates to the plastic air deflectors on the bridge of the face plate and better foam placement, improving comfort when the goggles are worn in a variety of positions. Upgraded, vinyl-covered foam is also included in the package to ensure the best fit. Attach the face plate by simply snapping it onto the goggle. The integrated fan for reduced fogging can be powered by the supplemental lead on all Fat Shark batteries. Works with the Dominator V2, V3, HD, HD2 and HD3 models. This is foam sponge face plate for FPV goggles. Suitable for fat shark Dominator V3, Dominator HD3, etc. If you have any questions about this product by FANCYWING, contact us by completing and submitting the form below. If you are looking for a specif part number, please include it with your message.